This is an online, interactive course that contains instructions, multimedia, and assessments where you can learn at your own pace. If you’re taking the course as an assignment, enter the code from your instructor below. This is an online, interactive lab that contains instructions, multimedia, and assessments where you can learn at your own pace. If you’re taking the lab as an assignment, enter the code from your instructor below. 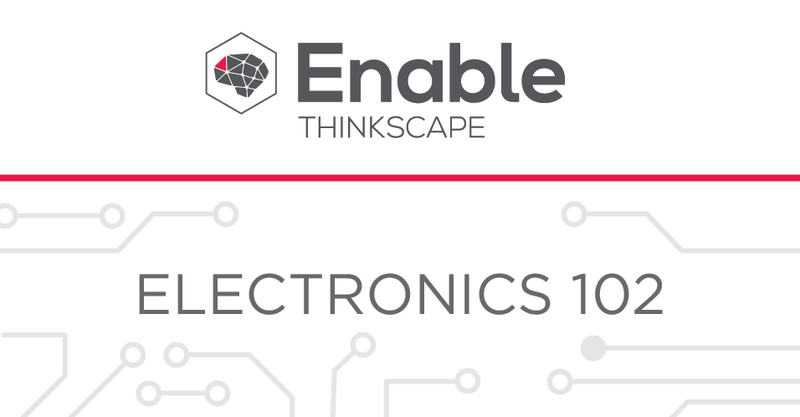 This set of online, interactive, and mobile-friendly labs introduces the basic concepts of analog circuit design normally taught in a second-year Introduction to Electronics course. For each topic, students will go through a hands-on experience with both simulated and physical components, reinforcing the theory taught in lecture. Built in knowledge checks, just-in-time help features, and note taking capabilities guide the student through the lab to ensure proper understanding and introductory videos for each topic give relevant real-world background for each topic, answering the question, "when would I use this in the real world?" Students learn the fundamental electronic components involved in analog circuit design. They will learn the properties and of components such as diodes, BJTs, and op-amps and how to use these components in applications such as amplifiers and rectifiers. In this lab students will determine the behavior of a diode using IV curves and characterize the operation of a diode. In this lab, students will explore how AC voltage is converted to DC voltage. They will use LEDs to simulate a full-wave rectifier and then build one from common 1N4005 diodes. Students will then explore how different load values affect the output signal of the rectifier as well as how to improve on the rectifier's DC output using capacitors. In this lab, students will learn how a Zener diode operates, identify the differences between a Zener diode and a regular diode, and understand how a Zener diode works within a voltage regulator. In this lab, students will be introduced to the concept of transistors and analyze the behavior of a transistor set up to work as an interrupter. In this lab, students will learn how to polarize a transistor so that it can be used to amplify an AC voltage signal and learn how to use the Bode Analyzer to find the amplifier gain versus frequency characteristics. In this lab, students will learn the differences between MOSFETs and BJTs, identify the different regions of operation of the MOSFET, analyze the MOSFET behavior, and build a circuit with a MOSFET as a switch. 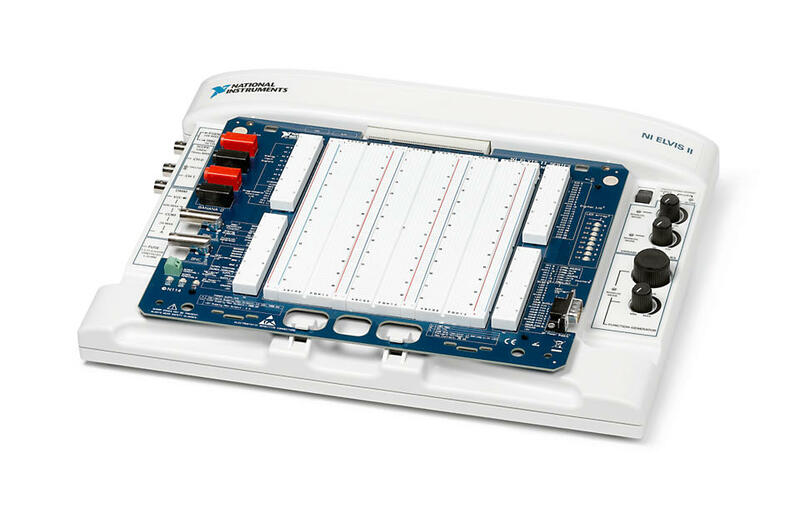 In this lab, students will explore the turn-on and turn-off characteristics of a thyristor, learn how a thyristor can be used to protect a circuit, understand the on/off behavior of a TRIAC, and simulate results showing thyristor and SCR behavior. In this lab, students will examine the behavior of optocouplers, learn how the optocoupler can be used to electrically isolate a circuit, and confirm the electrical isolation of the two sides of the optocoupler. Students will also be introduced to IGBTs and generate simulation results showing optocoupler behavior. In this lab, students will examine the behavior of op-amps in open-loop configuration, investigate what happens to an output of an op-amp when the output signal has a higher voltage than the supply signal, and investigate how op-amps affect the timing and frequency of an AC signal. In this lab, students will configure an op amp using feedback resistors and learn how to set up an op-amp in common configuration patterns such as inverting and non-inverting amplifiers. In this lab, students will configure multiple op-amps into an instrumentation amplifier configuration, design the instrumentation amplifier to achieve a specific gain, and then compare the results of their designed instrumentation amplifier with an instrumentation amplifier IC. In this lab, students will investigate the most common causes of major faults in circuits, simulate causes of common major faults, and learn to identify which type of fault is occurring in a circuit using common measurement tools. These labs prepare students with prerequisite skills. These labs have related concepts that can expand student experience. 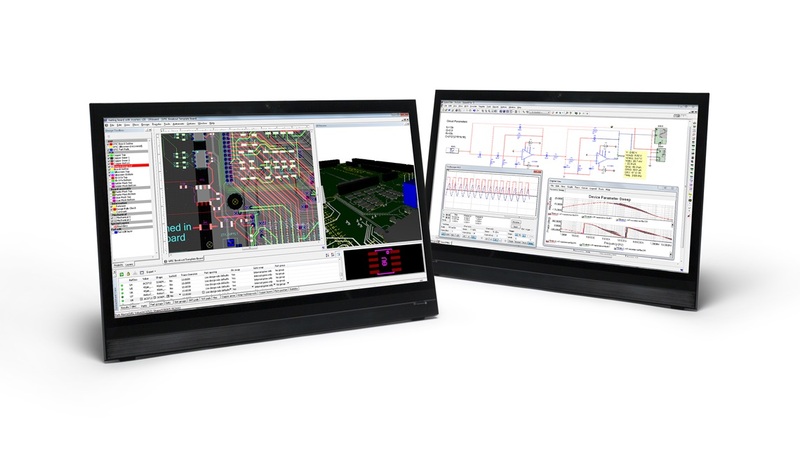 Multisim is a circuit simulation tool built for educators to teach analog, digital, and power electronics by connecting simulation to experimentation.